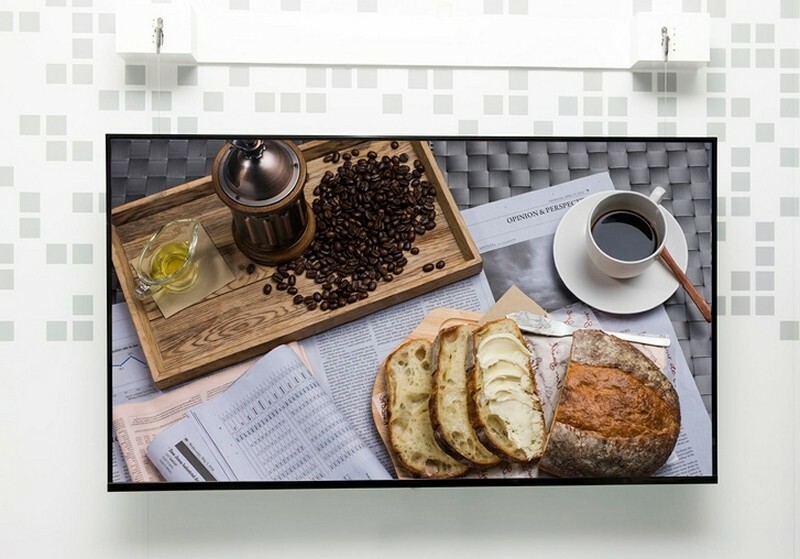 The 2015 Consumer Electronics Show gets under way next week in Las Vegas and among the companies already jockeying for media attention is LG with its new Art Slim line of LCD televisions. Measuring in at just 7.5mm (.29 inches) and 8.2mm (.32 inches) thick in 55-inch and 65-inch variants, respectively, LG’s first two models in the new line and will give some of today’s smartphones and tablets a run for their money as it relates to thinness. And while not quite as slim as OLED panels, they’re pretty darn close and are extremely lightweight – 10.4kg (22.9 pounds) and 16.2kg (35.7 pounds), respectively. As such, they should look right at home if mounted on a wall. LG was able to create the Art Slim line through innovations in the mechanical structure of the sets. Specifically, by using a new aluminum composite, they converted the back cover of the LCD module into the actual rear panel of the television. In addition to the thinness, the material also increases rigidity to help protect the delicate panel. LG will release 55-inch and 65-inch models initially followed by a variety of additional panel sizes including a 49-incher as 2015 progresses. The first two models will be on display next week at CES. No word yet on when LG plans to actually launch the Art Slim line nor do we know how much they’ll retail for.